The Brunel International Scholarship Programme is an annual award run by the Brunel International office that is open to all international students. Its goal is to provide financial support to exceptional students. Scholarship holders will go on to represent Brunel as ambassadors throughout their time at the University. For 2013/14 we are please to be able to offer 30 awards, which will comprise of a 15% discount off the cost of tuition fees. These awards are open to Undergraduate,Postgraduate and Research students who are classed as overseas for fee purposes. Please note that these terms and conditions are subject to English law and the jurisdiction of the English courts. Have not been in receipt of a Brunel International Scholarship previously, either as part of current or earlier studies. 1.2 Scholarships are awarded for entry in the academic year 2013/14 only and cannot be deferred to later years of entry. Course applicants who intend to defer their studies must re-apply for a scholarship in the year they will begin their studies. 1.3 Students who are eligible for the Brunel Postgraduate Academic Excellence scholarship cannot be awarded a Brunel International scholarship. If you apply and later become eligible for an Academic Excellence scholarship, we will automatically withdraw your application for the Brunel International scholarships and award you the Academic Excellence Scholarship. 2.1 A 15% discount on the tuition fees for the academic year 2013/14. This discount is a single contribution and will not be continued in subsequent years and is not applicable to any additional fees such as resubmission or module resit fees. No cash alternative will be offered. 2.2 The scholarship does not replace the deposit of £3000. All scholarship awardees will need to pay the £3000 deposit for their course in order to receive an unconditional offer and a Confirmation of Acceptance of Studies (CAS). 2.3 Scholarship awardees will be responsible for paying the remainder of their tuition fees after the scholarship contribution is deducted from the total fees. 2.4 Scholarship awards will not be credited towards tuition fees until the applicant has fully registered at Brunel University. This includes having qualifications and other documentation verified and checked and holding the correct visa to study. 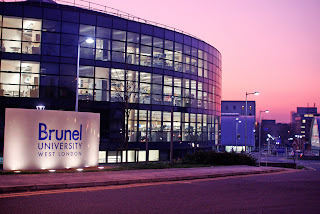 2.5 Scholarship awardees who have already paid the full course fees will receive a refund once they have met all conditions of their offer and registered as a student at Brunel University. 2.6 Those awarded a Brunel International Scholarship may be eligible for the 2% prompt payment discount. This will be deducted from the tuition fees remaining after the scholarship discount has been applied. See http://www.brunel.ac.uk/courses/pg/fundingfor further details. Attend a welcome reception during the year. Other duties as and when stated. This list is not exhaustive and may be subject to change. Create and develop a blog, which you will be expected to regularly contribute to during your time at university (a minimum of 100 words a week). You will be given technical support to set up a blog and create graphics for your site, if needed. This blog will be featured on the international website, and sections may be used for other university publications. As a student at university, it is understood that your studies must be your highest priority, so, where possible, events will be arranged so that they do not interfere with lectures or exams. 4.1 Scholarship awards are made by the International Scholarships Panel and all decisions are final. The University will not accept any appeals in respect of the decisions made by the Panel. 4.2 The scholarships cannot be combined with any other University bursary or awards. 5.1 The University reserves the right to withdraw a scholarship from anyone who is found to have misled the University about any aspect of their eligibility and to seek repayment of any monies already paid by appropriate means. 5.2 The University reserves the right to withdraw a scholarship from anyone who fails to comply with the requirement to take part in promotional activities, as stated in section 3 of these Terms and Conditions. 5.4 A student electing to take a period of temporary withdrawal (abeyance) will only receive the scholarship once at the start of the course. If tuition fees remain due when returning from a period of temporary withdrawal then these would need to be paid upon return. Applications can be made from March 2013 and should be made electronically via the Brunel International website. 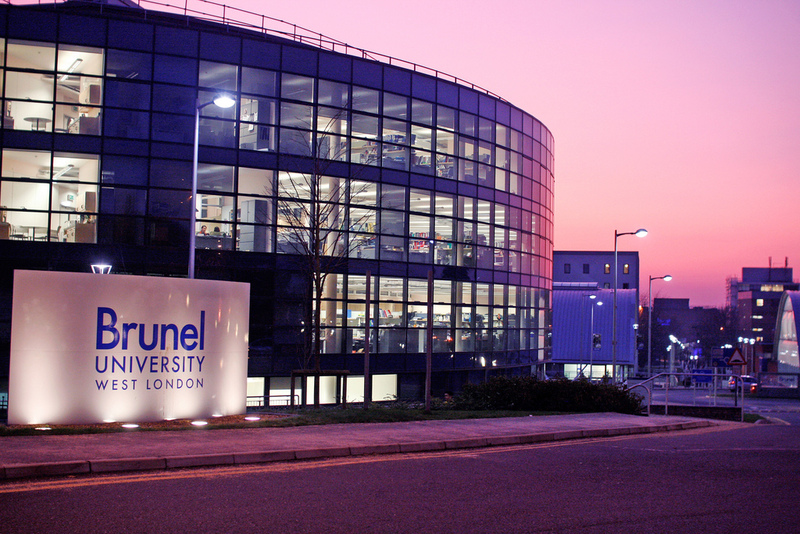 If you wish to apply for a scholarship you must apply for a course at Brunel first – we recommend your course application reaches the Admissions Office no later than the 8th April 2013. This is so we have enough time to assess your application and issue you with an applicant number in time for you to make a scholarship application. When answering the questions reference can be made to activities, achievements and personal qualities which are considered particularly relevant to your application. Additional space is provided on the application form for uploading one relevant supporting document. Your responses along with your course application and grades, will be the main focus of the Award Panel’s deliberations and should therefore be written carefully and spell-checked. Make sure that your application is complete before you submit it. We will not accept incomplete applications and you cannot provide additional information once your application is submitted. You may only apply once. Applications received after the closing date will not be considered. The award panel will meet in June to consider scholarship awards. Decisions will be made in early July 2013 and successful applicants will be informed in the first instance by email. Applicants will be required to respond by email to accept the offer no later than 19th July 2013. A formal scholarship offer letter will then be issued and dispatched by post. All decisions will be made by the Brunel International Scholarship Panel. All decisions are final and no correspondence can be entered into. If you have any questions please contact us at bi.scholarships@brunel.ac.uk. Applications for a scholarship cannot be submitted to this address. 8th April: You should ensure your course application reaches Brunel by this date. If your course application is received after this date we cannot guarantee issuing you with an applicant number, in time to apply for a scholarship. 28th May 10am (GMT): Applications must be submitted by this date. Do not leave your application to the last minute!. Also be sure to check what time 10am GMT is in your local time. 5th July: All applicants will be informed whether or not they have been successful by the end of the first week of July. This may be subject to change if a very large volume of applications are received. 19th July: Applicants offered a scholarship must notify Brunel that they would like to accept the award by this date. If they do not the award may be offered to someone on the reserve list. September: Successful applicants must ensure that they meet all the standard conditions of their course offer from Brunel (including paying the deposit) before they enrol in September. Exact dates will depend upon your course. November: Awards ceremony with the Vice-Chancellor.